Before you start your cleanse we suggest, as in our post above, to ease your way to the cleansing process by avoiding meats and poultry, refined starches (bread, white rice and pasta), dairy products, sugar, alcohol and nicotine, at least 3-5 days before you start the cleanse. You should try replacing those with fresh wholesome foods like fruits, fresh salads, vegetables soups, starchy vegetables, avocados and other healthy wholesome food choices. Depending on how healthy your normal diet and lifestyle is you may experience some detox symptoms during your juice cleanse. Everyone is different and will experience different symptoms throughout a cleanse. If you drink coffee or alcohol regularly you may experience some headaches or other withdrawal symptoms. If you consume a lot of sugary or junk foods you can expect more symptoms than someone who has a very clean and healthy diet. Some of the common detox symptoms that you may experience, usually early on in a cleanse, include tiredness, headaches, mood swings, cravings, constipation or diarrhoea, and excess wind. If you get constipation or diarrhoea during a cleanse try adding 1 Tablespoon of either psyllium husks or slippery elm to water or one of your juices, twice a day. We have also included LSA (ground linseeds, sunflower seeds and almonds) and chia seeds to our smoothies for extra fibre. This will ensure that your bowels are working well, which will prevent constipation and toxins from reabsorbing back into the body. It is also recommended that you take a probiotic supplement daily during your cleanse to promote healthy digestion and help boost your immune system. Don’t forget to drink at least 2 Litres of water a day when increasing your fibre intake. Herbal teas such as licorice or dandelion root act as natural laxatives and would be beneficial for anyone with constipation. The most common concern when cleansing is whether you will be hungry or not consuming only juices and no solid food. To be honest, realistically it will be very hard for you to be really hungry, or to feel a real hunger during the nutritionally balanced cleanse program like it is ours. We have done all of our programs and tested them ourselves, so we are talking from our personal experience. Plus all programs have been designed in collaboration with our nutritionist, who made sure that our programs nutritionally contain everything our bodies need. So, in theory no hunger should be present at all! Having said that, we are aware however that old habits do die very hard, and we are all humans after all. So if you are used to snacking between large meals, that were mostly consisted of “healthy salad” with a piece of bread, heavy creamy dressing, cappuccino, caramel latte’s for deserts or small piece of chocolate cake, or any other nutritionally similar combinations that sound familiar to you, chances are your experiencing sugar withdrawal symptoms, rather than real hunger. What you perceive as hunger symptoms, and what we call now “sugar junkie withdrawal”, thanks to our great inspiration Jason Vale, will probably attack you in the first few days. Every person is an individual and everybody reacts to cleansing process differently. The “hunger”, sugar junkie, usually knocks on your door on the days 2 and 3 and usually lasts up to day 4, or the end of the 4th day. Depending on the length of your cleanse. There is nothing to be worried about, it is normal, we are not used to consume less food and you are depriving your body of all the junk and sugar you have been feeding it for so many years, so body reacts. If you eat certain way, for so many years, once your body starts changing to a more healthy eating lifestyle, the body will react for sure! And we want it to react, to cleanse, to detox and to have a chance to heal itself with a clean, fresh start! This is exactly what you are doing with our programs! We recommend holding off on eating unhealthy food choices which are not included in the cleanse program, and letting the body eliminate the unwanted toxins. Drink herbal teas, take baths with essential oils and find ways to nourish yourself without food being involved. If you absolutely positively need to eat, try to eat raw, fresh vegetables and fruits, or we can arrange for additional specially designed juice, or healthy raw protein snack. Please let us know if this is the case. We are here to support you all the way, and we are with you 1000% on this journey. All you need to do is to tell us, and we will make sure that we help you out any possible way. The only thing we will not help you out is quitting to give your body a chance to a healthy restart! Everything else we can do to help you successfully complete your cleanse program, please tell us, we are at your disposal! After your cleanse you should go back to eating a healthy well-balanced diet. Don’t go and get stuck into unhealthy foods and drinks as soon as you finish and undo all of your great work. Use this cleanse as a stepping-stone to a better eating habits and health. Ease yourself slowly back into eating solid meals again, by eating smaller healthy meals, and chew your food properly to assist with proper digestion. Maintain a diet rich in a variety of fruits and vegetables, legumes, wholegrains, nuts and seeds, fish, eggs, yoghurt, tofu and small servings of lean red meat. Try to limit your intake of wheat products and include more gluten-free grains, and ease off the sugars, refined or sugary foods, coffee, alcohol and fried foods. Keep juicing and include at least 2 juices daily in your diet. If you would like a more detailed plan on how to continue eating more healthy after the cleanse please let us know and we will try to give you some healthy meal ideas. you have a chance to win 3 juices of your choice! 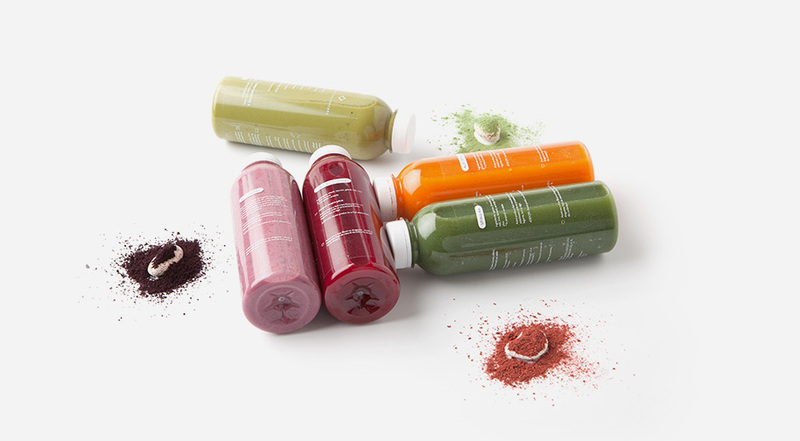 You can also find our juices in shops and cafes around town. To view the locations on the map click to go to the Locations page.